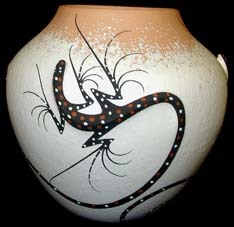 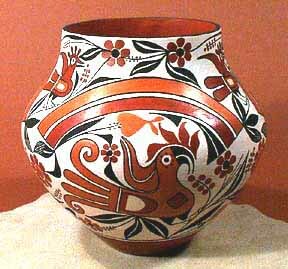 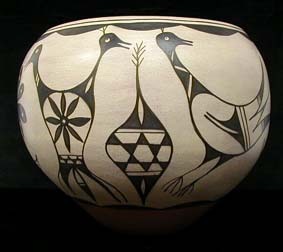 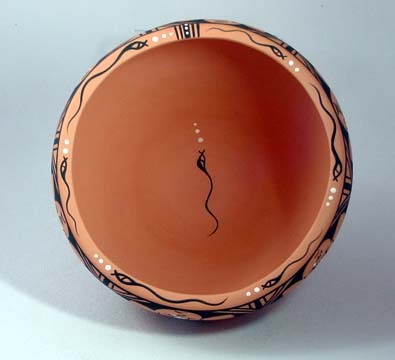 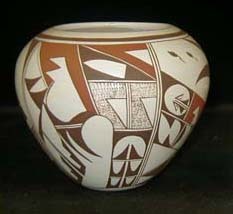 This is a lovely piece of pottery created by Priscilla Peynetsa of the Zuni pueblo. 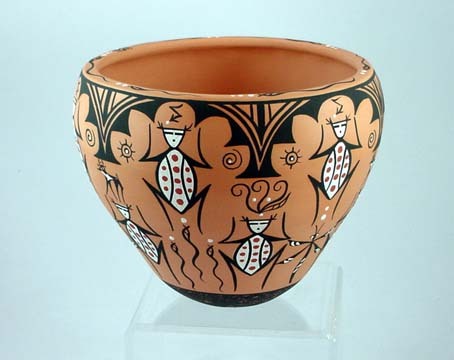 It has a very elegant shape and is decorated with the frogs and tadpoles on the outer surface of the pot, the top of the rim and inside. 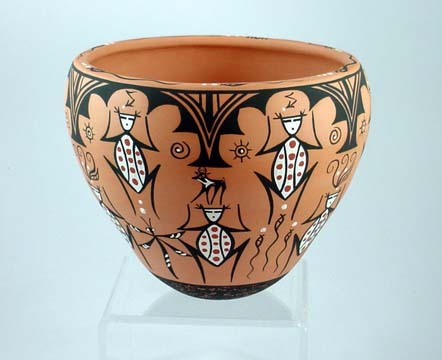 This is a pot that Priscilla thought about. 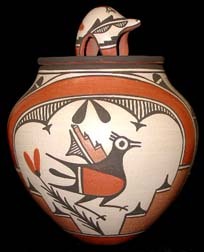 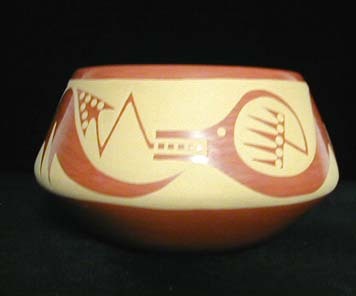 It is an indispensable part of a serious collection of Zuni and Pueblo pottery. 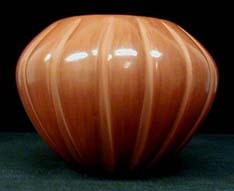 The bowl is of good size measuring almost seven inches tall by 8 inches wide.